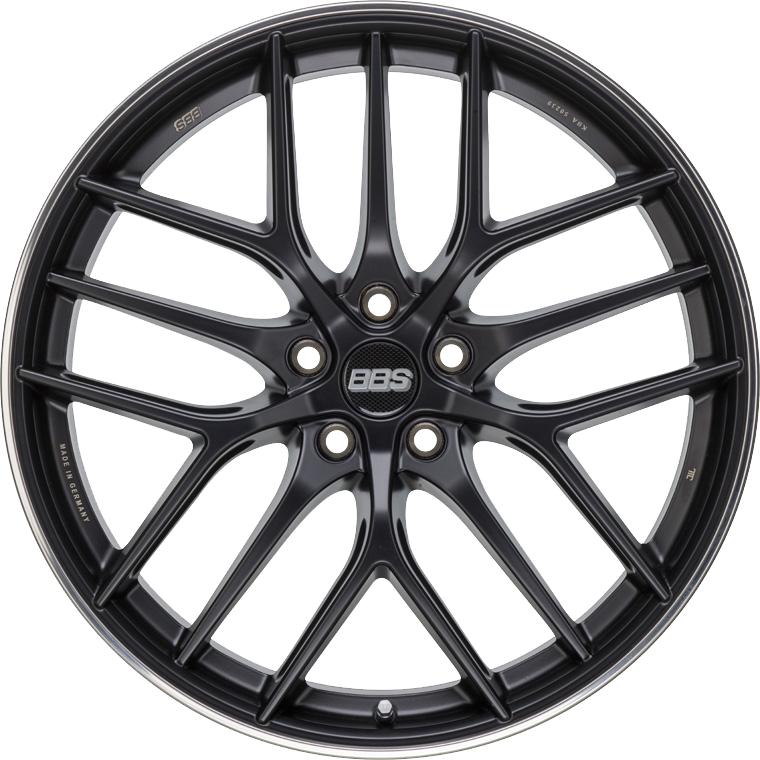 BBS CC-R is a modern designed wheel, with the potential to become a classic. BBS CC-R is a modern designed wheel, with the potential to become a classic. Filigree, light, dynamic, different but typical BBS. The CC-R features a distinctive 3D look whose visual depth comes from five graphite colored spokes overlaid by five diamond cut Y-shaped spokes. The wheel does not lack any technical finesse. Due to back-milled spokes and Flow-Forming the CC-R turns out to be an absolute light weight performance wheel. The replaceable stainless steel rim protector and the diamond cut spokes makes the wheel a real eye-catcher.